Tate Modern today announced that it will stage an annual live exhibition in its unique underground Tanks. It will open in spring 2017 as part of BMW Tate Live, Tate Modern’s ongoing performance art programme in partnership with BMW. This announcement marks a new departure in the concept of the art exhibition: rather than seeing a presentation of static objects, visitors will be invited to explore the show as it unfolds over time. This new format will combine installation, performance, film, video, sound and talks over a period of ten days from 24 March to 2 April 2017. In contrast to the white cube gallery spaces used for traditional exhibitions in the museum, artists will be able to make use of the raw, industrial character of the Tanks – huge subterranean concrete containers originally built to hold the fuel for Bankside Power Station. They have now been converted into the world’s first museum space dedicated to performance, film and installation. The alternative atmosphere of the Tanks will provide visitors with a distinctive location in which to engage with new art in a new way. The exhibition will also extend outside to the new Terrace on top of the Tanks, animating the landscape around the Switch House for the first time. For the first BMW Tate Live Exhibition, an intergenerational selection of artists has been invited to create live installations in the Tanks, which will then act as a host or stage for other artists and viewers. The installations will range from a plant-filled salon to a cloud of artificial mist and will be free to visit during the day. In the evening, they will be further animated with ticketed performances by a range of emerging and established artists from around the world. In different ways, all the artists in the exhibition create communities or stage shared experiences, often linking natural, organic environments with new technologies and networks. 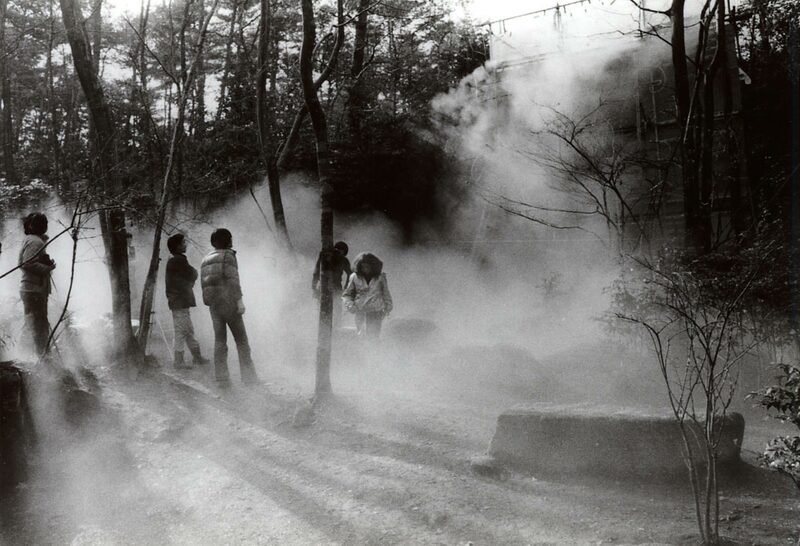 Featured artists will include Fujiko Nakaya (b.1933, Japan), who first came to prominence through her collaboration with Experiments in Art and Technology (E.A.T) in the 1970s. Nakaya will transform the Terrace outside Tate Modern with an immersive fog sculpture made entirely of water vapour. This will provide an environment for performances by her long-term collaborators. Isabel Lewis (b.1981, Dominican Republic) will be in residence in the Tanks Lobby throughout the duration of the exhibition. She will host a number of her signature occasions, combining music, food, drink and scent to create an alternative environment for dance, discussions and invited musicians. CAMP, a collaborative studio founded in Mumbai in 2007, will use the Transformer Galleries as a space to share their archive of digital video, unfinished films and electronic media, posing questions about how technology both connects and controls people. Wu Tsang (b.1982, USA) and Fred Moten (b.1962, USA), will present Gravitational Feel, a sculptural performance using fabric and sound to explore the social and physical significance of touch and voice. Other participating artists will include: Melanie Bonajo, Carlos Casas, Ian Cheng, Ligia Lewis, Paul Maheke, Phill Niblock, Daïchi Saïto, Lorenzo Senni, Pepa Ubera and Ian Wilson, whose live performances in and around the Tanks will span film, music and dance. The BMW Tate Live Exhibition: Ten Days Six Nights is curated by Catherine Wood, Senior Curator of International Art (Performance) and Andrea Lissoni, Senior Curator of International Art (Film) with Isabella Maidment, Assistant Curator of Performance and Carly Whitefield, Assistant Curator of Film.